Today we’re going to talk about the top three misconceptions that are commonly found in Ball Python care sheets. The first is the suggestion to keep a Ball Python in a fishtank. There is much debate over the correct size of the fishtank to keep your snake in. Unfortunately, there are few care sheets out there advising Ball Python owners to avoid keeping their snakes in fishtanks. The truth of the matter is simple – Ball Pythons should not be kept in fishtanks, since they are not fish. Many breeders are aware of what is required, but most breeders today use elaborate rack and wall systems. It is the Ball Python pet owner who is suffering with a lack of guidance. As a good example of this problem, walk no further then your local pet store. The store employee will tell you that the fishtank is okay for a Ball Python, “Look there is even a snake on the picture,” they say. Ask the clerk if they own a Ball Python and most often the answer is no. Fishtank’s are easily available and don’t cost very much money, so what is the better enclosure? I’m glad you asked (you did ask, right?). The correct enclosure for a Ball Python must have a few characteristics. It must lock, be moisture resistant and it must be able to retain both heat and humidity. This leads me into the second most common misconception. 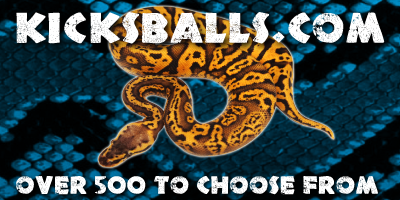 Ball Pythons require a hot area, and a cool area in the enclosure. Ball Pythons are cold blooded animals and they require an outside source of heat to maintain the correct internal temperature. They need heat in order to metabolize food properly, among many other daily bodily functions. The most common heat source recommended for reptiles are heat lamps. Heat lamps come in coloured bulbs (some labeled as night and day) and also in non-light emitting ceramic bulbs. 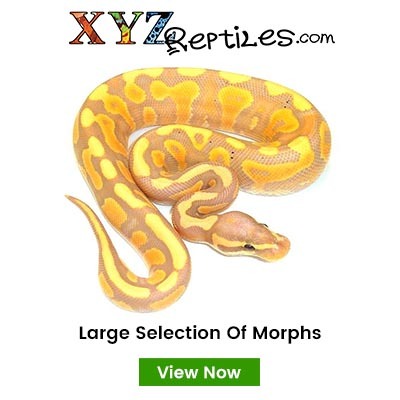 Both are great sources of heat for many reptiles, but are not suitable for Ball Pythons. They require belly heat, not basking heat. In northern Africa you will never see a Ball Python on top of a log or rock basking in the afternoon sun. They like to spend the day hiding under branches and rocks in the dark, with their bodies on the warm ground. In the wild they will hide all day, and if your Ball Python is healthy it should do the same. The solution, since your snake doesn’t bask like other snakes and lizards, is to use an Under Tank Heater (UTH). There are many types of UTH’s available today such as heat tape, heat cable or heat pads. All of these perform the same function and should be regulated with a thermostat. Do not use a heat rock with a Ball Python. It cannot be regulated properly with a thermostat and will burn your snake. Now, let’s return to the first misconception and tie the first in with the second. So let me explain why a fishtank is not a good idea in regards to heat. Let’s go back to grade school science for a moment. Hot air rises. If a Ball Python is kept in a fishtank the hot air will rise and escape, disappearing into the room and becoming of no use to your snake. Because your fishtank is wide open on the top, the ambient air doesn’t have the opportunity to heat up in the enclosure. It’s important to maintain a consistent belly heat for your snake, but it is also important that the ambient air not be too cold. A Ball Python enclosure is designed to retain heat. Our enclosures have been made from a material that acts as an insulator. Also, the shape of the enclosure is designed to stop heat from escaping. When your Ball Python is kept in an enclosure which has been specifically designed for it, your snake will be much healthier. The final misconception is the most misleading. Every care sheet teaches the importance of humidity, but none of them explain why humidity is so difficult to attain in a fishtank. So now I’m going to explain what you need to do if you have a fishtank as an enclosure. Maintaining humidity in a fishtank is actually not that difficult, and only requires you to spray down the substrate with water. Easy, right? Oh wait, did I forget to mention that you will need to do this as many as 21 times a week! Ball Pythons are tropical snakes that require tropical enclosures. The humidity within a Ball Python enclosure should never drop lower then 50%, and at times should be as high as 70%! Now, to tie the top three misconceptions together. So let’s assume that you have now gone out and replaced your bulb with a UTH, but kept the fishtank. Even with the correct heat source the warm, humid air just floats out of the top of the fishtank leaving your Ball Python dry and cold. By using the correct Ball Python enclosure, the humidity would remain inside warming up rather then escaping. Having the correct enclosure for your Ball Python not only keeps your snake well hydrated and warm, but also relieves you of having to work so hard. Spraying down your fishtank 21 times a week is impractical, which is why having the correct enclosure will change your life. Keeping humidity around 50% would only require 2 or 3 sprays a week in the correct Ball Python enclosure! 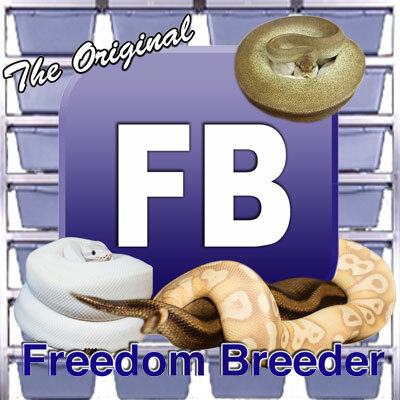 Keeping a Ball Python in an enclosure that has been designed for Ball Pythons will allow you to enjoy your snake rather then having to constantly worry about the heat or humidity. You wouldn’t keep a reptile in a birdcage, so why would you keep it in a fishtank? ™ Moving your Ball Python into the proper enclosure is expensive; so many owners choose to stress out their snakes instead. It saddens me greatly when I hear people say, “Yes, I know a fishtank is wrong but I don’t have the money at the moment”. To the owners who keep their Ball Pythons in fishtanks I say, “Don’t buy a snake, if you cannot buy the correct enclosure”. Keeping a Ball Python in its correct enclosure will allow for the perfect heat and humidity, which results in perfect sheds, proper digestion, better eating and a less stressed and happier snake.